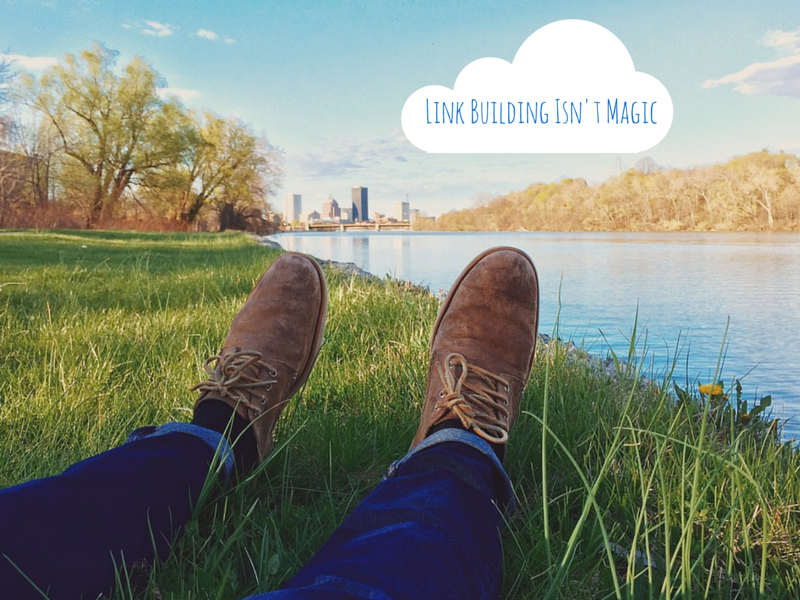 Link building isn’t magic. It’s not a cure-all, won’t make you rich quick, nor will link building solve all your traffic woes. What about all the stories we hear about the importance of links, the knowledge that Google uses links as a ranking factor, or that links are a foundational element of the web? What about the fact that every SEO in existence acknowledges the importance of links, and many online marketers share incredible case studies about links greatly improving the traffic to their website? Knowing all this, shouldn’t building links equate to improved site performance? Aren’t links fundamental to strong websites? All true. Building great links will drive traffic to your site, help you grow brand, relationships, visibility, and industry authority. Links can help you earn a larger slice of the internet pie. But why then do I say link building isn’t a magic cure-all? Because to build great links, you must first earn them. You must be worthy of any link you build, or it’s manipulation and will eventually be punished by Google. Stated plainly, too many site owners try to jump straight to acquiring the links, without first considering why another website would link to them. Link builders aren’t magic – we’re just intelligent marketers with a strong skillset in persuasion and social skills. If you have nothing for us to promote, nothing another site owner would value enough to link to, any work we do to build those links would rely upon manipulation. And that’s the wrong path in SEO and online marketing. Let’s not even break it down into the “can Google catch it” game, whereby we question the veracity of individual link types or Google’s position on specific links. No matter how much Google improves, people will always think there’s some secret backdoor, algorithmic loophole they can find, exploit, and subsequently plunder. Let’s instead phrase the question this way: would Google want to include your page in their results? If you were to show a Google employee your page, and tell them which phrase you want to rank for, would there be merit? Or would you be embarrassed to show your pages to Google employees? Do you deserve to rank over the other results in search? Search engine optimization, link building included, should be about signaling the importance of your pages to search engines – not manipulating search engines to think you’re more important than you are. Google employs every single Ph.D. they can reasonably lay their hands on. And they’ve got big hands: in 2014 Google reported 66 billion in revenue, 59.5 billion of which came from advertising (search). That’s about 90% of their revenue, for my fellow writing friends out there. I daresay Google’s going to continue to invest in search, and that trying to shortcut your way into their results isn’t a long-term bet. You should be building links. But first you need to deserve the links. Before you begin any manual pursuit of links, the first question should be “is this page as good or better than the SERPs relevant to this page?”. You need to build value first, then promote yourself. Otherwise you’re putting the cart before the horse. If you want to be able to build links that will make a difference, you need to be worthy of links in some way. You need to add value to the web, and express that value to those you want links from. Link building is about optimizing opportunity. Let’s quickly look at examples of each. Many link acquisition tactics revolve around getting the links you deserve. The idea behind this avenue of link building is to go out and manually pursue anywhere you deserve a link. You’ve done something worth mentioning, citing, sourcing, or generally covering. You’ve successfully done the first part: added value to the web that results in link opportunities. Built something worthy of visibility, attention, and ultimately links. Someone, somewhere, cares about what you’ve done. Cares enough to link. So go ahead and track down those who care, and get the links you deserve. The difference between this type of link acquisition and others is that the link has for the most part built itself already. The site is either already aware of your activities, and just needs a touch of prompting to link, or has already linked to others who are doing the same activities as you. The work has primarily already been done – you deserve links, you just need to follow up appropriately and ensure you’re getting the links you deserve. Another common way to secure good links for your site is to promote your business, brand, or site intelligently to the right audience. The idea here is to go out and engage with your community. You’re going to go out and promote your brand, business, content, resources, and site in such a way as to earn links back. This can mean attending an event, securing a column on an important website, hosting a contest for your community, continually building your audience, participating in interviews, or simply promoting your resources to other sites. You’re actively seeking to build brand recognition, engagement, relationships. And as a smart SEO you’ll secure links as you do it. As SEOs optimization is in our blood. Because there’s no formal education for search engine optimization, most people who work professionally as an SEO were drawn, at least in part, to the act of optimization itself. Whether it’s an early morning routine, a route into work, an oft-repeated chore, or even an entire hobby, SEOs as a breed can and will optimize it. More than that, we can speak specifically about why we do things a certain way, and why that way is in fact optimal. Our significant others love it. Whether it’s chasing down a broken link, translating content for new audiences, leveraging a well-founded relationship, or even providing a testimonial, there’s always a way to leverage ongoing activities for new links. The trick is to critically analyze opportunities and determine which are most likely to result in links that matter. This requires you to understand the business, competitors, industry/niche, and general linking environment. Build the links you deserve. Promote yourself intelligently. Optimize and leverage opportunity. Build awareness, visibility, and secure links. At the end of the day the important part isn’t the tactic, it’s the application of the entire strategy. Link building is strategic marketing with the primary goal of links. Link building is about going out and manually promoting your site to others with worthwhile platforms, intelligently. It’s hard work that demands social prowess; an odd mixture of sales and marketing. The first step in building links is to first be worthy of links. There is no skipping this step – any shortcut (manipulation) around creating something worthy of links will lead to short results. This “link worthiness” is the cart, and link building is the horse. We’re the manual force driving links to your site, but we can’t pull your cart in the right direction if you haven’t even built it yet. The better the cart, the faster we can drive results. We want to put sweat and creativity into promoting your site, but the sweat and creativity we spend should be reflected in the care you’ve put into your site. We don’t want to promote something we ourselves are less than thrilled by. No one wants to link to a website that has no value outside of the generic products it sells, with generic product descriptions, photos, and landing pages. We want to celebrate what makes your site unique, powerful, worthwhile. We want to promote your site with confidence that can’t be feigned. We dread sending email after email to uninterested audiences, knowing the task is an exercise in utility. As SEOs and link builders, we know what makes a page link worthy. We’ve worked with enough sites, built enough assets, and promoted to enough audiences to know what sells. But at the end of the day, we’re not magicians. You need to get on board and be willing to invest the time, energy, and care to build something of value. Being link worthy is fundamental to building good links that make sense. Only then can you get the results you need. Cory Collins works in strategy development at Page One Power. 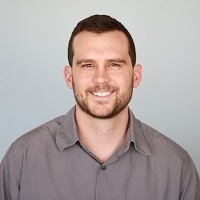 Cory is a writer, runner, SEO strategist, beer brewer, and lives with his dogs and wife in Boise, Idaho. Cory's super power is eternal curiosity. Want to work with a top SEO agency? Fill out the form below and an SEO expert will contact you to put together an SEO strategy specific to your company’s needs.